Hey dolls! This evening I have photos for you of the KBShimmer 6th Anniversary collection. 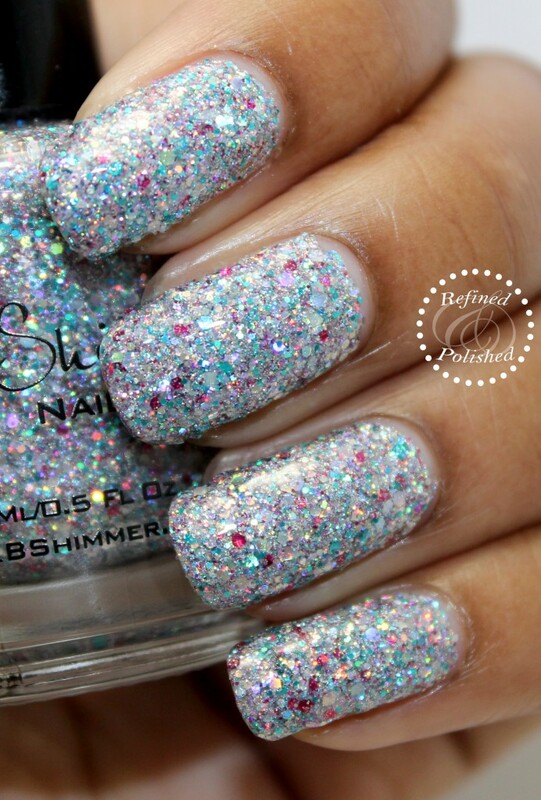 This trio consists of two bright cremes and a super blingy glitter. 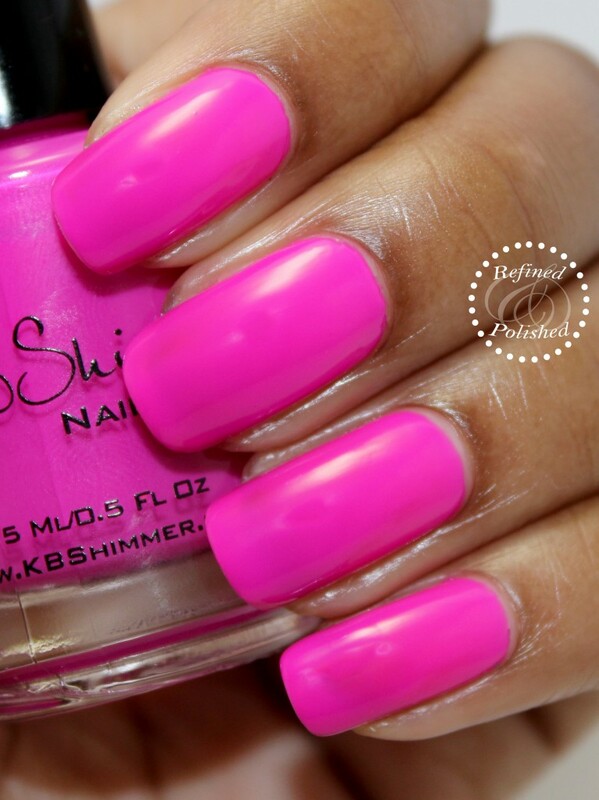 KBShimmer Beach Please is described as a bright, near neon pink cream with purple leanings. I crack up every time I read or type the name of this polish. Beach Please is extremely bright and I love it! The formula was thinner than most of the KBShimmer cremes, but still applied easily. Two coats were used for opacity. 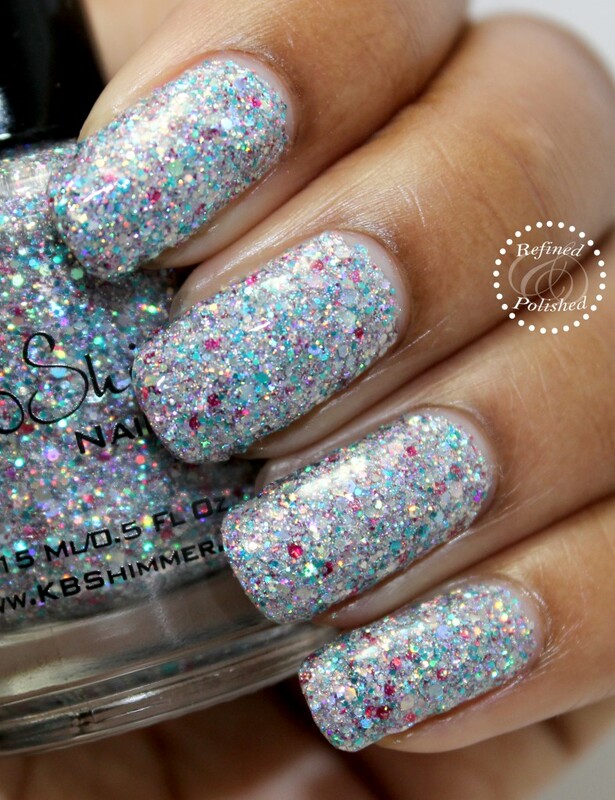 KBShimmer Hexy Bikini is described as a textured polish with holo glitters in silver, teal, and pink. The formula was thick and chunky, but not difficult to apply. The glitter was very dense and opacity was achieved in two coats. Two coats of KBShimmer Clearly on Top quick dry top coat were used for the photos. 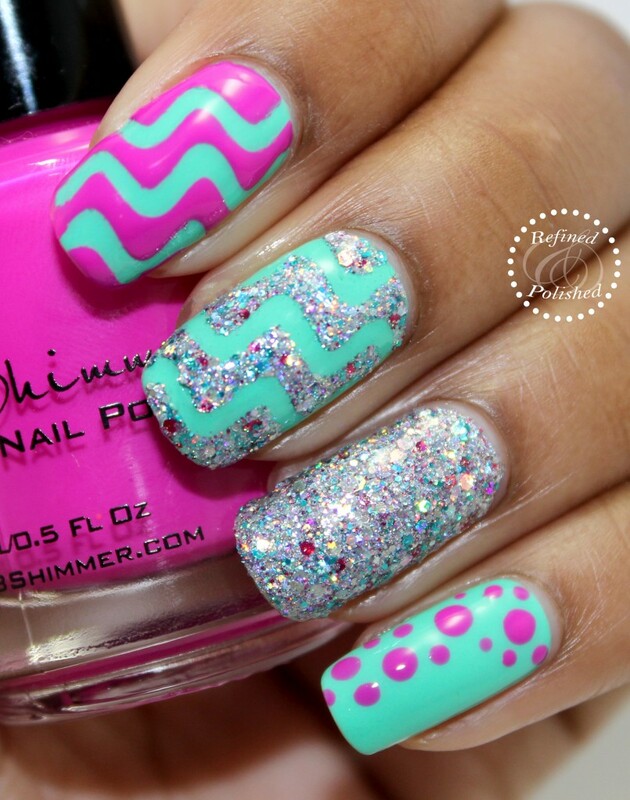 KBShimmer Shore Thing is described as a bright aqua-mint cream with blue-green undertones. This is such a gorgeous creme! The formula was streaky on the first coat, but leveled out completely on the second. It applied very easily. Of course I had to do a little bit of nail art to celebrate KBShimmer’s anniversary. I used the trio, as well as the wavy nail vinyls, for this fun look. You can also see the textured look of Hexy Bikini in this photo. I adore the cremes in this trio! The glitter is a bit too chunky, but it makes a great accent nail. The KBShimmer 6th Anniversary collection will be released on August 1 here for $21. Be sure to keep up with them on Facebook, Instagram, and Twitter for updates and new releases.